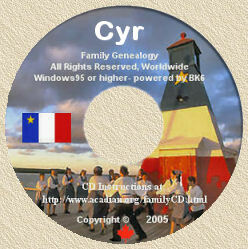 Acadian Genealogy Homepage; Listen to Acadian Songs! Ramasse ton sac pis fly! I am very grateful to my Canadian friend, Barry Taylor of Victoria, British Columbia for having provided me permission to use some of the above-noted Acadian songs on my Acadian Genealogy Homepage. Visit Barry's site at http://members.shaw.ca/tunebook/ where you will find, and be able to listen to,tons of other great Acadian songs!